Damage in this timber door frame is due to termites. Are the termites still active and how much damage have they caused elsewhere in the house? Substantial cracking in this wall is due to subsidence. 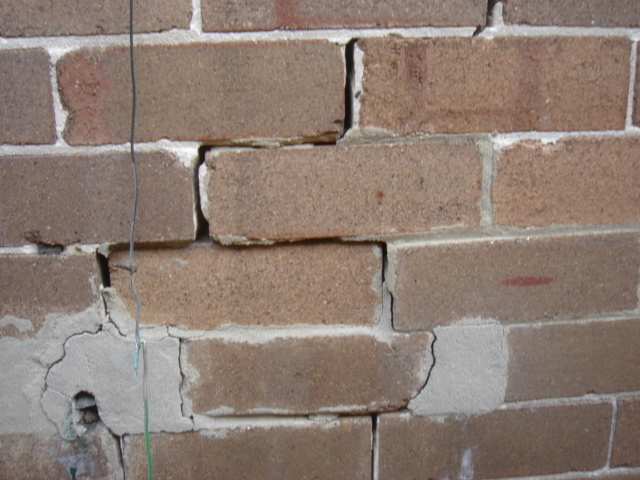 Proper repair involves underpinning the footing and reconstruction of the brickwork and can cost $30,000. Flaking and staining on the surface of the wall near the floor is due to rising damp. 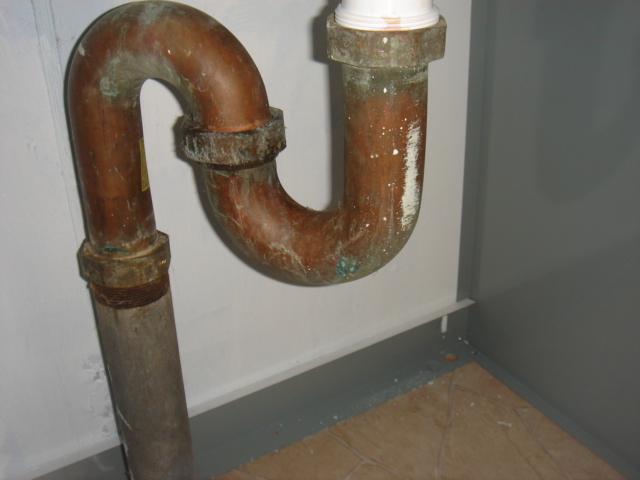 Repair requires the insertion of a new damp course which can cost $10,000 to $20,000. 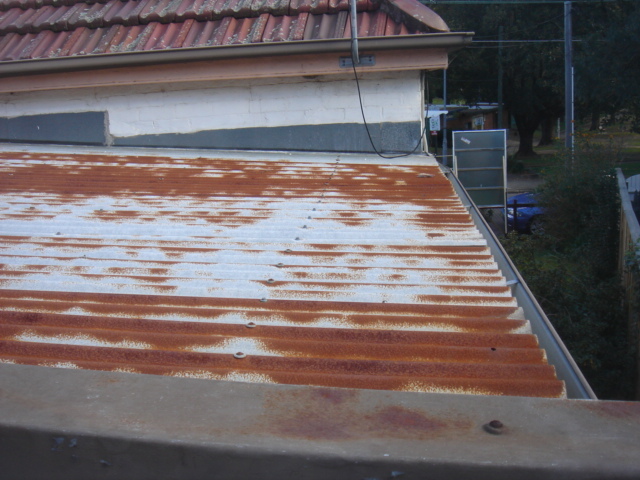 The corrugated iron roof to this house is completely rusted and will cost $8,000 to replace. This hot water tank is well past its use-by date and now requires replacement. 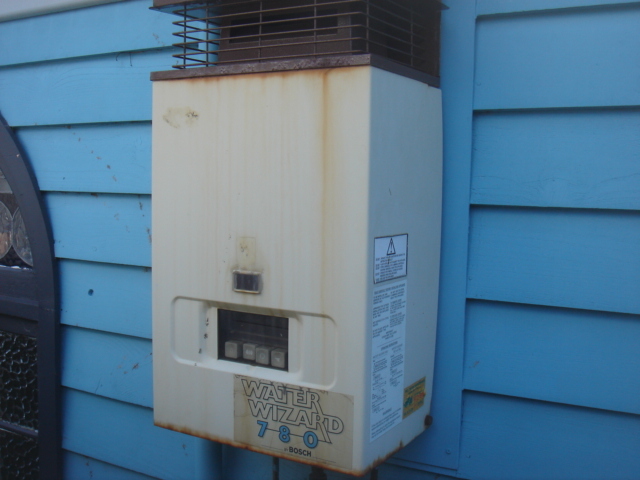 A new hot water tank costs about $1,800. 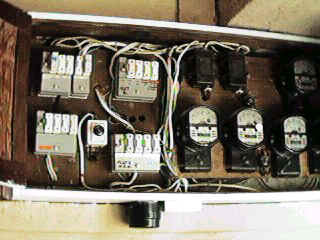 Electrical wiring lasts about 40 years. The wiring in this house is old and unsafe. Replacement of the wiring will cost about $12,000. The plumbing in this house is old and corroded. Re-plumbing is now required and will cost about $12,000. Does the house you're interested in buying contain asbestos? 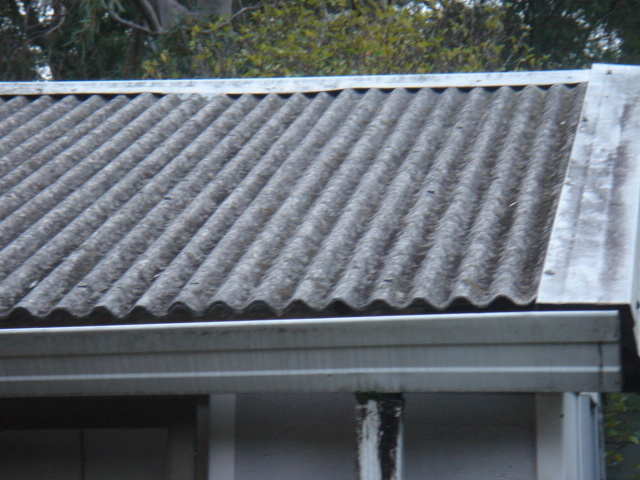 The roof of this garage in Marrickville contains asbestos that is in poor condition. It is regarded as a health hazard and should be removed. It cost the new owners $6,000 to replace. The roof tiles on this house in Bondi are leaking. 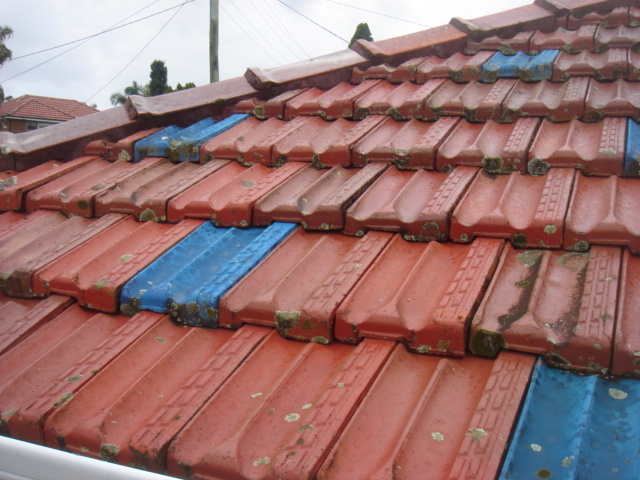 An average cost of re-tiling is $12,000. after you move in will be too late.